The non-instrument rated commercial pilot departed on a cross-country flight in his high performance airplane. There was no record of the pilot receiving an official preflight weather briefing. However, the pilot may have obtained text weather information from a weather service while enroute. Images taken during the flight showed the airplane flying above an overcast cloud layer. Review of satellite imagery indicated that the overcast layer covered the area near the accident site and continued to the intended destination. Marginal visual to instrument meteorological conditions were reported near the accident site about the time of the accident. The investigation could not determine if there were breaks in the low overcast or how the pilot got below the overcast. However, a witness saw the airplane flying at a very low altitude and reported dark night conditions were present. The witness subsequently heard a loud crash, which he thought was the airplane, and called 9-1-1. The airplane was not on fire in flight and he did not see any subsequent fire or explosion. 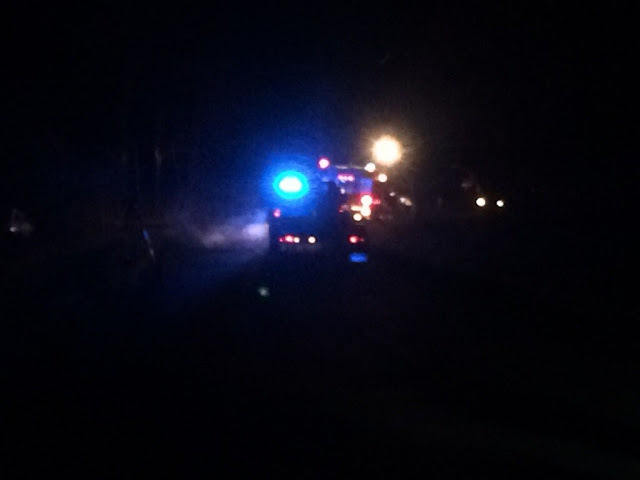 The smell of fuel was present in the area, which led emergency responders to the wreckage within a wooded area. The wreckage path through the woods was a nearly straight 150-ft descending path. Linear separations of tree branches and the S-shaped bending of a propeller blade were consistent with the engine producing power at impact. A postaccident examination of the wreckage did not reveal any preimpact anomalies that would have precluded normal operation of the airplane. The non-instrument rated pilot's decision to descend through an overcast layer of weather during dark night conditions, which resulted in the airplane impacting trees. On December 31, 2016, about 1745 central standard time, a Piper PA 28R-200 airplane, N2806R, impacted trees and terrain near Vienna, Illinois. The commercial pilot and three passengers were fatally injured. The airplane was destroyed during the impact. The airplane was registered to and operated by the pilot as a Title 14 Code of Federal Regulations Part 91 personal flight. Night marginal visual meteorological conditions were reported near the accident site about the time of the accident, and the flight was not operated on a flight plan. The flight originated from the Pella Municipal Airport (PEA), near Pella, Iowa, at an unknown time and was destined for Nashville, Tennessee. About 1740, a witness near the accident site saw the airplane flying "very" low and noted it was a "dark night." The engine did not "sound right" and the rpm was going "up [and] down." He did not hold an instrument rating. He subsequently heard a "loud" crash, which he thought was the airplane. According to the witness, the airplane was not on fire in flight, and he did not see any subsequent fire or explosion. The witness called 9-1-1, and a search was conducted by Johnson County Sheriff's Department personnel. 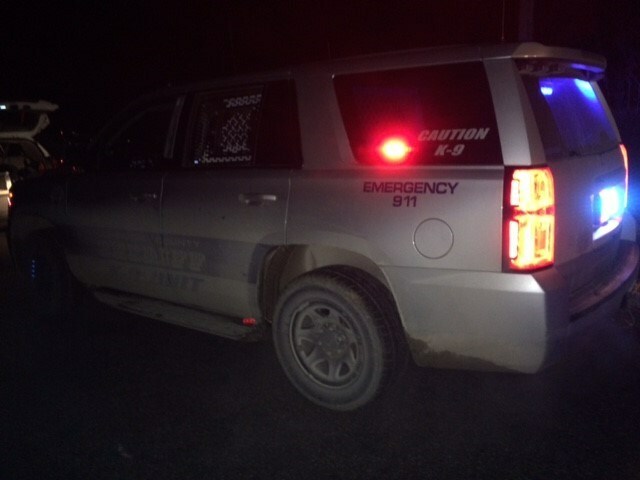 The smell of fuel was present in the area identified by the witness and led the Sheriff's Department personnel to the wreckage within a wooded area. The 34-year-old pilot held a Federal Aviation Administration (FAA) commercial pilot certificate with a single engine land rating issued on June 30, 2016. He did not hold an instrument rating. The pilot held an FAA third-class medical certificate, dated May 12, 2016, with no limitations. Review of copies of the pilot's logbook showed that his last entry was dated July 24/26, 2016. The logbook showed that the pilot had accumulated 312.9 hours of total flight time, 18.9 hours of night flight time, 13.7 hours of simulated instrument flight time, and no flight time in actual instrument conditions. N2806R, a 1969 model Piper PA 28R-200, Arrow, serial No. 28R-35293, was a single-engine, propeller-driven, retractable landing gear, semi-monocoque design, four-seat, low wing airplane. The engine was a 200-horsepower Lycoming IO-360-C1C engine, with serial No. L-15630-51A. The propeller was a constant-speed, two-bladed, Hartzell HC-C2YK-1BF model, with serial No. CH40395B. A review of copies of excerpts from the airplane's logbooks revealed that an annual inspection was completed on June 6, 2016, at an airframe total time of 6,297.3 hours and tachometer reading of 2,766.3 hours. The logbook excerpts indicated that the most recent altimeter, static, and transponder inspections were performed on June 22, 2016, at an airframe total time of 6,302.2 hours and a tachometer reading of 2,771.2 hours. A National Transportation Safety Board (NTSB) senior meteorologist collected factual weather data in reference to the accident flight, incorporated snap chat images forwarded by an FAA Inspector, and produced a Group Chairman's Factual Weather Report, which is appended to the docket material associated with this investigation. The report, in part, indicated that a search of official weather briefing sources, such as Lockheed Martin Flight Service and Direct User Access Terminal Service was done and the accident pilot did not receive a weather briefing from either source. A search of ForeFlight weather information revealed that the accident pilot did not request a weather briefing using his ForeFlight account before the flight. However, the pilot did enter several routes during the accident flight using his ForeFlight account. Those routes and times include Harrisburg-Raleigh Airport (HSB), near Harrisburg, Illinois, to Outlaw Field Airport, near Clarksville, Tennessee, about 1652; HSB to John C Tune Airport, near Nashville, Tennessee, about 1711; and route from HSB to Barkley Regional Airport (PAH), near Paducah, Kentucky, about 1719. The pilot did not check any weather imagery using the ForeFlight account. It could not be determined whether the pilot reviewed text weather products on his ForeFlight account because ForeFlight does not log text information requests. The surface analysis chart for 1800 depicted a cold frontal boundary just north of the accident site that extended from southwestern Illinois northeastward into northern Ohio. A stationary front stretched southwest from southwestern Illinois into northeastern Texas. The chart depicted mostly clear skies north of the accident site and cloudy skies at the accident site and points southward. The chart showed air temperatures in the mid 30° to mid 40° F, dew point temperatures in the mid 30° to mid 40° F, temperature-dew point spreads of 3° F or less, and a south wind of 5 knots or less. The closest weather reporting station to the accident site, Metropolis Municipal Airport (M30), near Metropolis, Illinois, was located about 11 miles south-southeast of the accident site. At 1735, the recorded weather conditions at M30 included wind calm, visibility 10 statute miles, sky condition overcast clouds at 500 ft, temperature 6° C, dew point 6° C, altimeter 29.91 inches of mercury. At 1753, the recorded weather conditions at PAH , located about 18 nautical miles south of the accident site, included wind 220° at 4 knots, visibility 10 statute miles, sky condition overcast clouds at 700 ft, temperature 6° C, dew point 4° C, and altimeter 29.91 inches of mercury. Instrument flight rules (IFR) refers to the general weather conditions pilots can expect at the surface and applies to the weather situations at an airport during which a pilot must use instruments to assist take off and landing. IFR conditions for fixed wing aircraft means the minimum cloud ceiling is greater than 500 ft and less than 1,000 ft and/or visibility is greater than 1 mile and less than 3 miles. Marginal visual flight rules (MVFR), in an aviation weather product, refers to the general weather conditions pilots can expect at the surface. MVFR criteria means a ceiling between 1,000 and 3,000 ft and/or 3 to 5 miles visibility. The observations from M30 and PAH surrounding the accident time indicated IFR ceiling conditions due to ceilings less than 1,000 ft and surface winds under 10 knots. The IFR ceiling conditions were present before the accident flight departed through the accident time. Visible and infrared data from the Geostationary Operational Environmental Satellite No. 13 (GOES-13) indicated cloud cover to the south and east of the accident site that continued to Nashville. The difference in brightness temperatures of the cloud tops above the accident site and the surface temperatures (with clear skies) to the north and west of the frontal boundary was very small, therefore using infrared imagery, it is difficult to determine where the cloud edges were near the accident site. Based on the brightness temperatures above the accident site and the vertical temperature profile provided by the 1800 high-resolution rapid refresh sounding, the cloud-top heights over the accident site were about 5,000 ft.
Airmen's Meteorological Information (AIRMET) Tango and Sierra were valid for the accident site at the accident time. The AIRMETs were issued at 1445 and warned of low-level wind shear and IFR conditions due to low ceilings and visibility in precipitation and mist. The conditions were expected to continue past the 2100 forecast period. Area forecast discussions at 1402 and 1744 for the location closest to the accident site discussed that MVFR to temporary IFR conditions were expected to continue into the overnight hours due to the abundant low-level moisture and inversion in place. The wind was expected to remain at or below 10 knots. The astronomical data obtained from the United States Naval Observatory for the accident site indicated that on December 31, 2016, sunset was at 1648, the end of civil twilight was at 1717, moonrise was at 0840, and moonset was at 1921. The phase of the Moon was Waxing Crescent with 6% of the Moon's visible disk illuminated. The main wreckage came to rest about 43° and 0.46 miles from the intersection of Crossroads Road and Old Metropolis Road. Broken branches, branches with linear separations, the upper portion of the rudder, a ground scar, and the engine were found in a debris path. The heading from the first tree found with broken branches to the main wreckage was 35° magnetic. The upper portion of the rudder, the ground scar, the engine, and the main wreckage were located 75 ft, 90 ft, 105 ft, and 150 ft, respectively, from this tree. The propeller hub and blades remained attached to the engine crankshaft. One propeller blade exhibited "S"-shaped bending. There was no sign of fire in the debris path or wreckage. The stabilator remained attached to its fuselage mounts and the stabilator's travel stops did not exhibit any witness marks consistent with repeated contact. The right side of the stabilator exhibited a semicircular aft deformation in the leading edge consistent with the size of tree branches. Control continuity was established from the stabilator balance weight to the cockpit area. The stabilator trim tab remained attached to the stabilator with impact damage noted to the right outboard section. The stabilator trim rod remained attached to the trim tab as well as to the trim barrel assembly. The stabilator trim was found in a full nose-up trim setting. The stabilator trim wheel was found separated from its fuselage mount. Stabilator trim continuity was established from the separated trim wheel to the trim barrel. The vertical stabilizer remained attached to its forward fuselage mount. The rudder was separated from the vertical stabilizer. The rudder torque tube remained attached to its fuselage mount but was separated from the remainder of the rudder assembly. Control continuity was established from the separated rudder pedal assembly to the rudder torque tube. The rudder travel stops remained intact and exhibited no signs of repeated contact. The fuselage was fragmented from the wing spar box forward to the engine. The rear bench seat remained, in part, attached to the fuselage. The left rear and right rear seat belts remained attached to their mounts and were found to be functional when field tested. No shoulder harnesses were installed in the rear seats. An after-market restraint system was installed for the front seats. The pilot lap belt and shoulder harness were located. The pilot's inboard seat belt mount was found separated from the fuselage at its fasteners. The front passenger's shoulder harness remained attached to the fuselage. 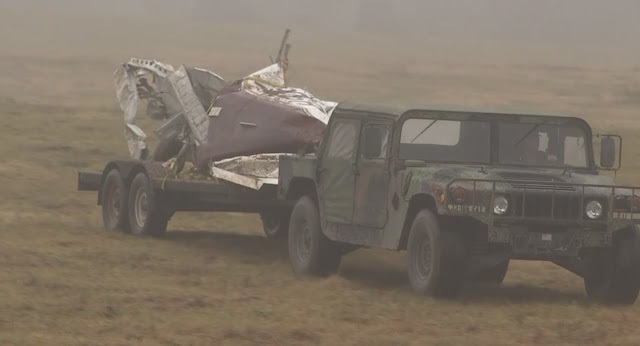 However, the lap belt portion of the front passenger's restraint assembly was separated from the fuselage and was not located within the recovered wreckage. Field tests of the pilot's lap and shoulder harness found them to be functional. The pilot and front passenger's seats were found separated from their fuselage mounts and they exhibited downward deformation. The instrument panel was destroyed. The attitude indicator and horizontal situation indicator gyros were removed and disassembled. Disassembly revealed both gyros had witness marks consistent with a rotating gyro rubbing on its housing. The engine control quadrant was found separated and it exhibited crush deformation. The landing gear selector was found in the "DOWN" position. The firewall and fuselage bottom skins were found separated from the remainder of the fuselage. The ruder pedal assembly was found separated from its mounts. The control yoke's "T" bar assembly was found fragmented and separated from its mounts, and the control yoke shafts were found separated from the "T" bar assembly. The fuel selector was found damaged and separated from its mounts. The fuel selector valve was noted to be in the "OFF" position. About 78 inches of the inboard left wing remained attached to the fuselage spar box, and rearward deformation damage was noted to the leading edge of the inboard section of the wing. The left wing's fuel tank was deformed and breeched; its pickup screen was found clear of obstructions. The remainder of the separated wing was found near the main wreckage, and its aileron remained, in part, attached to the wing. The aileron balance weight was found separated and the weight was not located within the wreckage. The flap was found in the retracted position; it was fragmented and remained, in part, attached to its wing mounts. The aileron's bellcrank was separated from its mounts, and the bellcrank remained attached to the aileron via the push-pull tube. The bellcrank stops did not exhibit any signs of repeated contact. Control continuity was established from the aileron to the "T" bar chain and to an overload separation of the balance cable in the center fuselage area. The pitot head remained attached to the separated section of wing; its static hole was clear of debris. However, the pitot hole was found obstructed by a media consistent with wood. The right wing was found separated from the fuselage at the spar box and was also separated at the manufacturer's flap and aileron splice seam. The flap remained attached to its wing and was found in the retrated position. The aileron remained attached to its mounts, and its aileron balance weight remained attached to the aileron. The right fuel tank was found deformed and breeched; its fuel tank pickup screen was found clear of obstructions. The entire length of the right wing exhibited rearward deformation. The aileron bellcrank and stops were found separated from their mounts and the stops did not exhibit any repeat contact witness marks. The aileron cables remained attached to the bellcrank but were found to be separated in overload at the wing root area. Aileron control continuity was established from the wing root to the bellcrank. The aileron push-pull tube was separated from the bellcrank. The aileron balance cable was separated about 50 inches from the cable's turnbuckle, and the cable separation exhibited a broom straw appearance. The aileron drive cable was separated about 12 inches from the cable's turnbuckle, and the cable separation exhibited a broom straw appearance. Aileron control continuity was established except where overload separations were present. The engine accessories were all separated from the accessory gear box. All pushrods had bending deformation. The engine's sparkplugs were removed. The top sparkplugs for cylinders No. 1, No. 2, No. 4, and the bottom spark plug for cylinder No. 3 exhibited a normal condition. The remaining sparkplugs exhibited impact damage. The engine crankshaft was rotated by rotating the propeller by hand. Drivetrain continuity was observed when the accessory gearbox gears and valve train components moved in correlation to the crankshaft movement. A borescope examination of the cylinders did not reveal any anomalies. Each cylinder produced a thumb compression as the crankshaft was rotated. Both magnetos exhibited impact damage and could not be tested. The oil pickup screen was found clear and free of debris. The fuel servo was separated from its intake and its fuel screen was clear and free of debris. The fuel flow divider was disassembled. No anomalies were observed. The internal cavity of the divider had a glossy appearance and smell consistent with aviation gasoline. The separated engine driven fuel pump was damaged and could not be tested. The electric fuel pump did not pump a fluid when electrical power was applied. Disassembly of the pump revealed its magnet had fragmented. The pump's shaft was rotated through an attached drill, and the pump pumped a fluid when the drill was activated. The propeller hub and blades were removed from the engine and disassembled. The disassembly examination revealed that oil was present in the forward portion of the propeller dome. Both blades had their control knobs separated from their blade butts. Witness marks revealed the blades were in a cruise flight pitch range. No preimpact anomalies were observed during the disassembly examination. According to information provided by FAA inspectors, there was no record of N2806R contacting the tower at PAH, or the tower at the Williamson County Regional Airport, near Marion, Illinois, or the air traffic control center. The Johnson County Coroner's Office performed an autopsy on the pilot and took toxicological samples. The autopsy indicated the cause of death was blunt impact trauma and the manner of death was accident. The FAA Bioaeronautical Sciences Research Laboratory's Civil Aerospace Medical Institute performed toxicology testing on the samples taken during the pilot's autopsy and prepared a Final Forensic Toxicology Accident Report on the samples taken during the pilot's autopsy. The report was negative for all tests performed. An NTSB Recorder Laboratory Specialist examined the recovered cell phone and subsequently produced a Personal Electronic Device Factual Report, which is appended to the docket material associated with this investigation. The report, in part, stated that the phone was a Samsung S7 Edge, which was protected by a passcode that could not be determined. The phone had a cracked screen. However, it powered on normally and a partial download was accomplished. The pertinent information from the partial recovery were five photos with timestamps and geographical information. The positions of the photos were plotted on a Google Earth overlay along with a reference line between Pella, Iowa and Nashville, Tennessee. The first photo was of the accident airplane, taken about 1141, on the ground at Pella, Iowa, from outside the airplane. The next photo was taken about 1619, at the southeastern-most location and farthest from Pella of all recovered photos; it was followed by a photo taken at 1621 and 2 photos taken at 1628, all of which were taken fat locations northwest of the 1619 photo and closer to Pella. All four inflight photos showed that the airplane was flying above a cloud layer; some of the photos showed a higher layer of clouds above the airplane. The vantage point of the inflight photos was consistent with the photos being taken from the rear, left seat. On December 31, 2016, about 1745 central standard time, a Piper PA 28R-200 airplane, N2806R, impacted trees and terrain near Vienna, Illinois. The pilot and three passengers were fatally injured. The airplane was destroyed during the impact. The airplane was registered to and operated by the pilot as a 14 Code of Federal Regulations Part 91 personal flight. Marginal visual meteorological conditions were reported near the accident site about the time of the accident, and the flight was not operated on a flight plan. The flight originated from the Pella Municipal Airport, near Pella, Iowa at unknown and was destined for Nashville, Tennessee. According to preliminary information, witnesses saw the airplane flying low and descend. A witness subsequently called 9-1-1 and a search was conducted by Johnson County Sheriff's personnel. The smell of fuel was present in the area identified by the caller. That smell led the Sheriff's personnel to the wreckage. 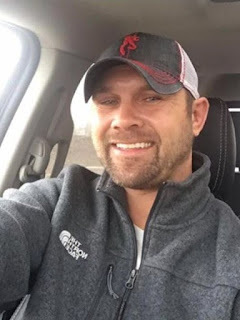 The 34-year-old pilot held a Federal Aviation Administration (FAA) commercial pilot certificate with a single engine land rating issued on June 30, 2016. The pilot held an FAA third-class medical certificate, dated May 12, 2016, with no limitations. Copies of the pilot's logbook showed his last recorded entry was dated July 24/26, 2016. The logbook showed the pilot's recorded flight time was 312.9 hours of total time, 18.9 hours of night flight time, 13.7 hours of simulated instrument flight time, and no flight time in actual instrument conditions. N2806R, a 1969 model Piper PA 28R-200, Arrow, serial number 28R-35293, was a single-engine, propeller-driven, retractable landing gear, semi-monocoque design, four-seat, low wing airplane. The engine was a 200 horsepower Lycoming IO-360-C1C engine, with serial number L-15630-51A. The propeller was a constant speed, two-bladed, Hartzell HC-C2YK-1BF model, with serial number CH40395B. A review of copies of excerpts from the aircraft logbooks revealed an annual inspection was completed on June 6, 2016. The airframe logbook entry on that date indicated that the airplane had accumulated 6,297.3 hours of total time and its tachometer read 2,766.3 hours. The excerpts indicated that the most recent altimeter, static, and transponder inspection was performed on June 22, 2016, the engine tachometer read 2,771.2 hours, and the airplane had accumulated 6,302.2 hours of total time at that date. At 1753, the recorded weather at the Barkley Regional Airport (PAH), near Paducah, Kentucky, located about 18 nautical miles and 174 degrees from the accident site, was: Wind 220 degrees at 4 knots; visibility 10 statute miles; sky condition overcast clouds at 700 feet; temperature 6 degrees C; dew point 4 degrees C; altimeter 29.91 inches of mercury. According to preliminary information from FAA inspectors, there was no record of N2806R contacting the tower at PAH, or the tower at the Williamson County Regional Airport, near Marion, Illinois, or the air traffic control center. The main wreckage came to rest about 43 degrees and .46 miles from the intersection of Crossroads Road and Old Metropolis Road. Broken branches, branches with linear separations, the upper portion of the rudder, a ground scar, and the engine were found in a debris path. The heading from the first found tree with broken branches to the main wreckage was 35 degrees magnetic. The upper portion of the rudder was found about 75 feet from that first tree with broken branches, the ground scar was about 90 feet from that tree, the engine and nose landing gear was about 105 feet from that tree, and the main wreckage was about 150 feet from that tree. The propeller hub and blades remained attached to its crankshaft. One propeller exhibited "S" shaped bending. There was no sign of fire in the debris path or wreckage. The stabilator remained attached to its fuselage mounts and the stabilator's travel stops did not exhibit any witness marks consistent with repeated contact. The right side of the stabilator exhibited leading edge semicircular aft deformation consistent with the size of tree branches and skin separation at the inboard manufactured splice. Control continuity was established from the stabilator balance weight to the cockpit area. The stabilator trim tab remained attached to the stabilator with impact damage noted to the right hand outboard section. The stabilator trim rod remained attached to the trim tab as well as the trim barrel assembly. The stabilator trim was found to be in a full nose up trim setting. The stabilator trim wheel was found separated from its fuselage mount. Stabilator trim continuity was established from the separated trim wheel to the trim barrel. The vertical stabilizer remained attached to its forward fuselage mount. The rudder was separated from the vertical stabilizer. The rudder torque tube remained attached to its fuselage mount but was separated from the remainder of the rudder assembly. Control continuity was established from the separated rudder pedal assembly to the rudder torque tube. The rudder travel stops remained intact and exhibited no signs of repeated contact. The fuselage was fragmented from the wing spar box forward to the engine. The rear bench seat remained, in part, attached to the fuselage. The left rear and right rear seat belts remained attached to their mounts and were found to be functional when field tested. No shoulder harnesses were installed in the rear seats. The pilot lap belt and shoulder harness was noted. The pilot's inboard seat belt mount was found separated from the fuselage at its fasteners. The copilot's lap belt and shoulder harness assembly were not located within the wreckage. Field test of the pilot's lap and shoulder harness found them to be functional. The pilot and copilot seats were found separated from their fuselage mounts and they exhibited downward deformation. The instrument panel was destroyed. The attitude indicator and horizontal situation indication gyros were removed and disassembled. Disassembly revealed both gyros had witness marks consistent with a rotating gyro rubbing on its housing. The engine control quadrant was found separated and it exhibited crush deformation. The landing gear selector was found in the "Down" position. The firewall and fuselage bottom skin was found was found separated from the remainder of the fuselage. The ruder pedal assembly was found separated from its mounts. The control yoke's "T" bar assembly was found fragmented and separated from its mounts as well as the control yoke shafts were found separated from "T" bar assembly. The fuel selector was found damaged and separated from its mounts. The fuel selector valve was noted to be in an "off" position. About 78 inches of the inboard left wing remained attached to the fuselage spar box and rearward deformation damage was noted to the leading edge of the inboard section of the wing. The left wing's fuel tank was deformed and breached. Its pickup screen was found clear of obstructions. The remainder of the separated wing was found in the area of the main wreckage and its aileron remained, in part, attached to the wing. The aileron balance weight was found separated and the weight was not located within the wreckage. The flap was found in the "Up" position. It was fragmented and remained, in part, attached to its wing mounts. The aileron's bellcrank was separated from its mounts and the bellcrank remained attached to the aileron via the push pull tube. The bellcrank stops did not exhibit any signs of repeated contact. Control continuity was established from the aileron to the "T" bar chain and to the overload separation balance cable in the center fuselage area. The pitot head remained attached to the separated section of wing and its static hole was clear of debris. However, the pitot hole was found obstructed by a media consistent with wood. The right wing was found separated from the fuselage at the spar box and was also separated at the flap and aileron seam. The flap remained attached to its wing and was found in the "Up" position. The aileron remained attached to its mounts and its aileron balance weight remained attached to the aileron. The right fuel tank was found deformed and breached. Its fuel tank pickup screen was found clear of obstructions. The entire length of the right wing exhibited rearward deformation. The aileron bellcrank and stops were found separated from their mounts and the stops did not exhibit any repeat contact witness marks. The aileron cables remained attached to the bellcrank but were found to be separated in overload by the wing root area. Aileron control continuity was established from the wing root to the bellcrank. The aileron push pull tube was separated from the bellcrank. The aileron balance cable was separated 50 inches from the cable's turnbuckle and the cable separation exhibited a broom straw appearance. The aileron drive cable was separated 12 inches from the cable's turnbuckle and the cable separation exhibited a broom straw appearance. The engine had all of its accessories separated from the accessory gear box. All pushrods were found with bending deformation. The engine's sparkplugs were removed. The top spark plug for cylinder no. 1, no. 2, no. 4, and the bottom spark plug on cylinder no. 3 exhibited a normal condition. The remaining sparkplugs exhibited impact damage. The engine crankshaft was rotated by rotating the propeller by hand. Drivetrain continuity was observed when the accessory gearbox gears and valve train components moved in correlation to the crankshaft movement. A borescope examination of the cylinders did not reveal any anomalies. Each cylinder produced a thumb compression as the crankshaft was rotated. Both of the magnetos exhibited impact damage and could not be tested. The oil pickup screen condition was found clear and free of debris. The fuel servo was separated from its intake and its fuel screen was clear and free of debris. The fuel flow divider was disassembled. No anomalies were observed. The internal cavity of the divider had a glossy appearance and smell consistent with aviation gasoline. The separated engine driven was damaged and could not be tested. The electric fuel pump did not pump a fluid when electrical power was applied. Disassembly of the pump revealed its magnet had fragmented. The pump's shaft was rotated through an attached drill and the pump pumped a fluid when the drill was activated. The propeller hub and blades were removed from the engine and disassembled. The disassembly examination revealed that oil was found in the forward portion of the propeller dome. Both blades had their control knobs separated from their blade butts. Witness marks revealed the blades were in a cruise flight pitch range. No preimpact anomalies were observed during the disassembly examination. The Jackson County Coroner's Office was asked to perform an autopsy on the pilot and take toxicological samples. A cell phone was found in the wreckage it is being sent to the National Transportation Safety Board Recorder Laboratory to see if it contains data in reference to the flight. PELLA, Iowa (KCRG-TV9) -- Two families filed a lawsuit two months after a New Year’s Eve plane crash killed four Iowans flying out of Pella. The families of a brother and sister who were on board are suing the estate of the pilot. The suit, filed late Wednesday afternoon Marion County District Court, claims that the pilot, 34-year-old Curt Terpstra, was not qualified to be flying in stormy weather and should have never left the ground. The Piper PA28R-200 left Pella for Nashville but made a stop in Missouri and slammed into the ground in southern Illinois. 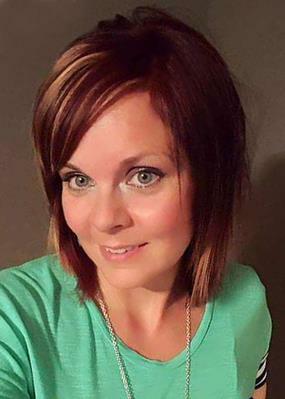 All four people on board were killed: Krista Green, 37, siblings Jordan Linder, 35 and Jasmine Linder, 26, and the pilot. Attorney George LaMarca filed suit on behalf of the Linder families, claiming that Terpstra was not instrument certified and should not have been flying in bad weather at night. KCCI obtained a copy of the National Transportation Safety Board Accident report showing that Terpstra had not flown for months. His last recorded entry was dated July July 24-26, 2016. The logbook showed that the pilot had logged only 18.9 hours of night flight time and no flight time in instrument conditions. “Marginal visual meteorological conditions were reported near the accident site with overcast clouds at 700 feet,” the accident report says. 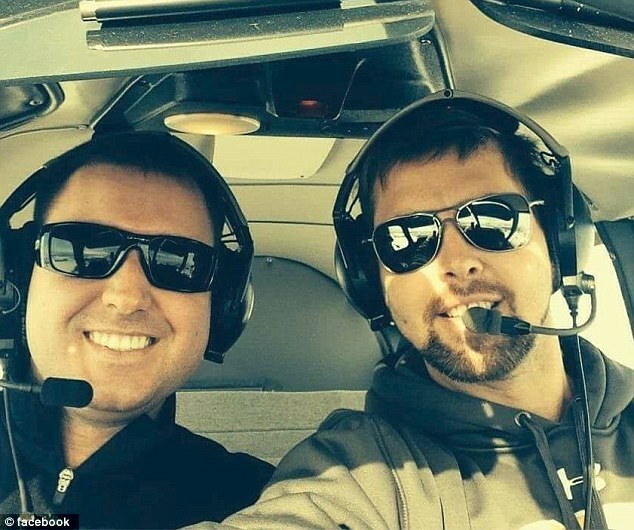 A source and Terpstra never filed a flight plan and did not have an official Federal Aviation Administration weather briefing before taking off. The manager of the Pella Airport was contacted on Wednesday, but he had no comment. A Pella man was one of four people killed in a plane crash Saturday night near Vienna, Illinois, officials reported. The plane that crashed was identified through an FAA database that tracks the ownership of airplanes by county. 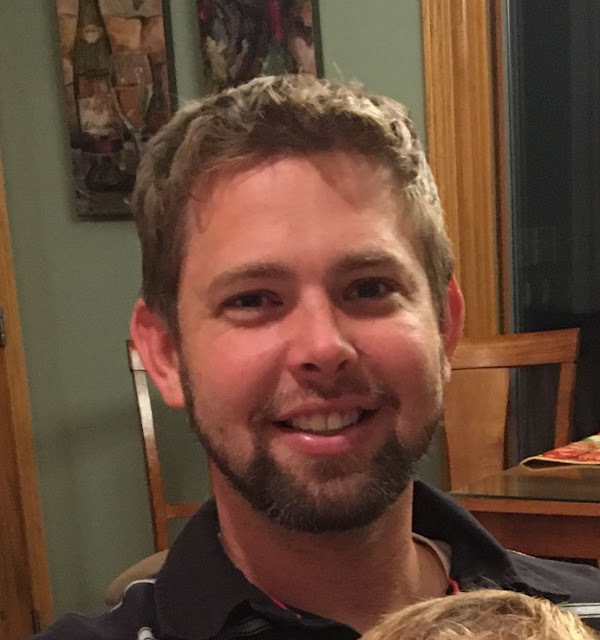 According to the database and family members, the plane was owned by North Mahaska High School graduate Curt Terpstra, of Pella, who co-owned Terpstra Masonry in Pella with his brother, Chip. The crash occurred at about 5:30 p.m. Dec. 31. No cause has yet been identified. Michael and Marcia Terpstra identified one of the victims as their son, Curt Terpstra. The other passengers involved in the crash have been identified by the Johnson County, Illinois Coroner as Jordan Linder, 35 of Iowa, Jasmine Linder, 26 of Iowa and Krista Green, 37 of Iowa. "[I'm in] Utter shock," Michael Terpstra said of the accident. "I don't know what happened. 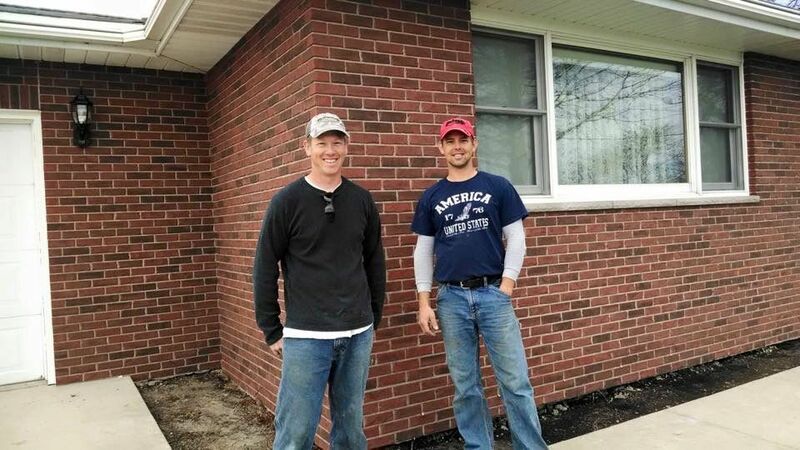 They were headed to Nashville. " Michael Terpstra and another family member said a passenger on the plane took photos and sent them via a social media site to friends and relatives. "They had taken some photos earlier [in the flight], there were clouds and it was clear," he said. Marcia Terpstra said at one point, the passenger sent a photo of the storm outside the plane. "All the sudden they were sending pictures of a storm they were in," Marcia Terpstra said. The Chronicle was able to contact two other members of the Terpstra family through social media messages, but few details on the crash were available at 9:02 p.m., Jan. 2. 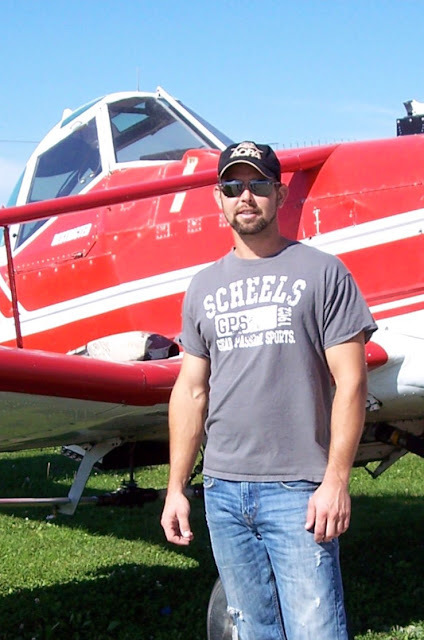 Michael Terpstra said his son, Curt, was an excellent pilot and had recently started an agricultural aviation business. The plane crash happened in a wooded area outside of Vienna, Illinois, confirmed Eric Weiss, an official with the National Transportation Safety Guard. The plane was a single-engine Piper model PA-28R-200, Weiss said. The other passengers in the plane at the time of the accident have not been officially identified. Investigators with the National Transportation Safety Board began taking a closer look into the accident at about 9 a.m., Jan. 1, Weiss said. According to the Associated Press there were two men and two women victims. A small plane that crashed in Illinois Saturday, killing four people, was owned by a Pella man, federal records show. 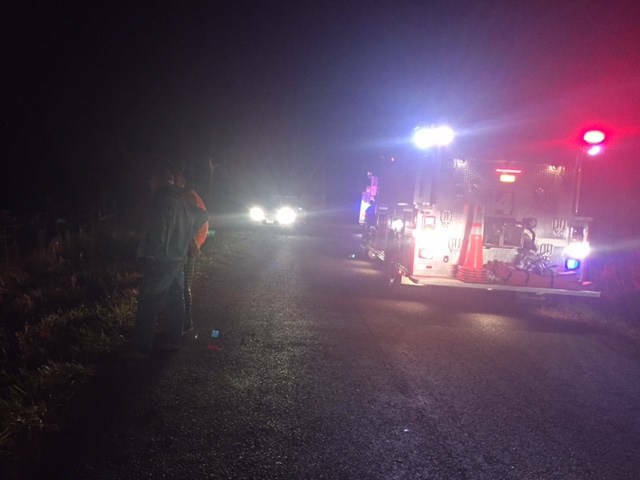 The plane, a single-engine Piper, crashed in the woods near the southern Illinois town of Vienna Saturday night. Eric Weiss, a spokesman for the National Transportation Safety Board, said Monday that other officials gave his agency a tail number corresponding to a plane owned by a Pella man. Online federal records show the plane was a Piper PA28R-200, built in 1969. 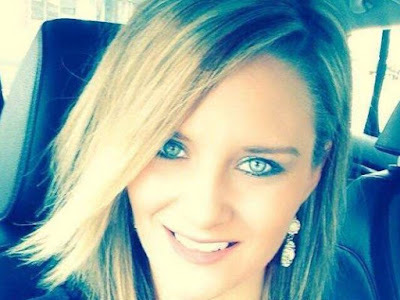 Illinois authorities had not identified the four victims by Sunday afternoon. The Des Moines Register did not immediately publish the owner’s name, because it was unable to confirm if he was aboard and authorities said they still were trying to notify victims' relatives about the deaths. The Associated Press reported the victims were two men and two women. Weiss said investigators hope to have the wreckage moved into an enclosed facility by Tuesday, so they could take a closer look into what caused the crash. 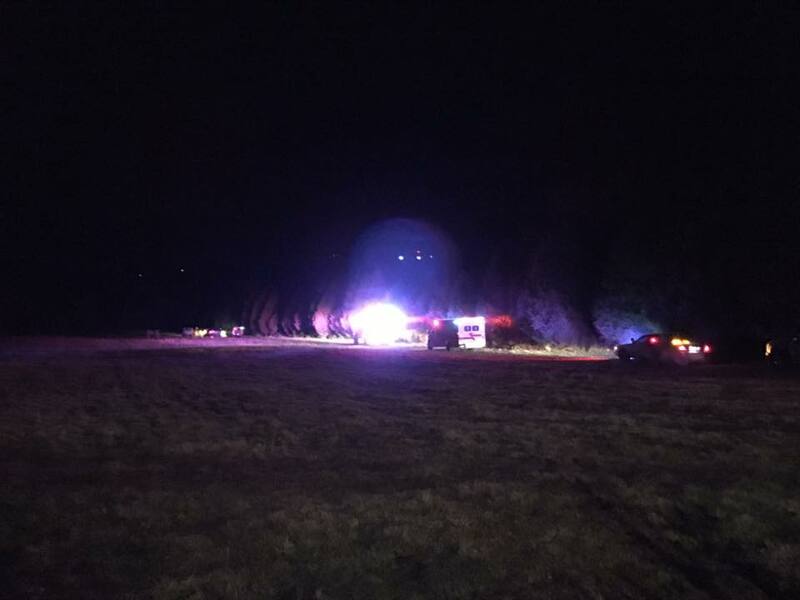 The crash happened in a heavily wooded area outside of Vienna, which is between St. Louis, Mo., and Nashville, Tenn. A nearby resident, David Oliver, told WPSD-TV that the plane flew low near his house. "Ten or 15 seconds later, we heard the crash," he said. Oliver said it took rescuers a substantial amount of time to find the wreck in the darkened woods. WSIL -- UPDATE: On Sunday, federal investigators arrived to the scene of plane crash that killed four people in Johnson County. 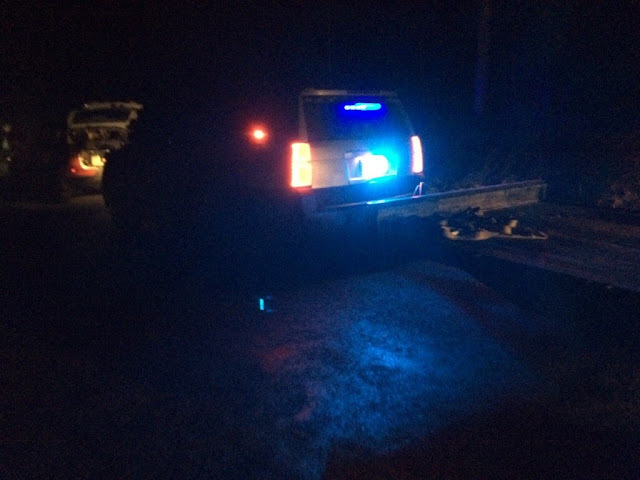 The crash happened around 5:45 p.m. in a wooded area southeast of Vienna. Investigators will examine the wreckage to determine what caused the plane to crash. Four people were killed after a small plane crashed in a wooded area southeast of Vienna in Johnson County. 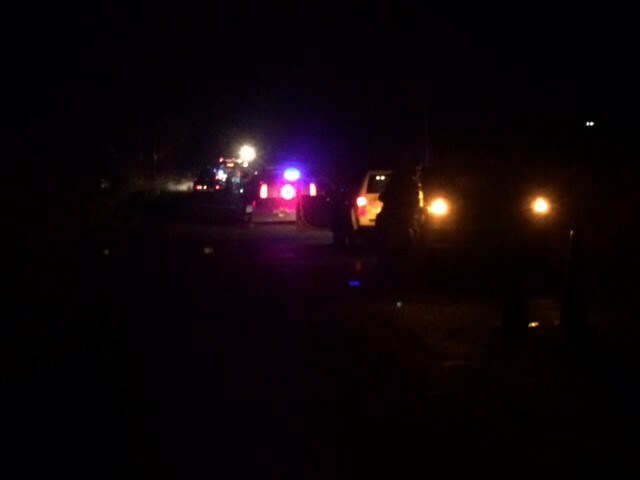 The Johnson County coroner said the victims are two adult men and two adult women. The Illinois state police said the victims are from Iowa. The FAA identified the plane as a Piper PA28 and say it crashed under unknown circumstances. Residents said they saw the plane crash into the wooded area near Crossroads Road around 5:45 p.m. on Saturday. Initial reports said locals saw a plane flying low, then heard something crashing into the woods, followed by a "big fireball." Larry Greer, a local resident, spoke to a couple who he said saw the plane right before it crashed. "They didn't know if it was a plane or a helicopter at first, it was so loud and so low," said Greer. "They thought it was going to take the roof of their house off. They said they looked outside and they could see the plane and they could see fire coming from the plane." 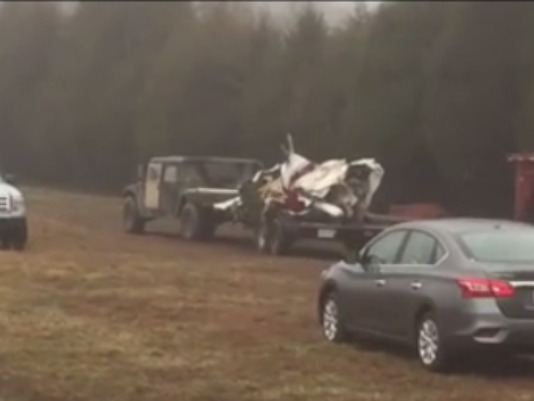 Authorities used drones and UTVs to find the plane crash site. Crews will be back at the crash site on Sunday, along with investigators from the Federal Aviation Administration and the National Transportation Safety Board. VIENNA, IL (KFVS) - Autopsies have been scheduled for the four people who died in a plane crash near Vienna, IL on Saturday, December 31. Authorities have confirmed that there were four deaths and no survivors from the crash. Rockwell said there is an autopsy scheduled for Monday, Jan. 2 for the person presumed to be the pilot. Autopsies for the other victims are scheduled after that. According to the FAA, the aircraft involved is a Piper PA-28 single engine plane. Multiple agencies responded to the area. Media personnel were moved away from the scene of the crash. JOHNSON COUNTY, IL - The Federal Aviation Administration confirms, a Piper PA28 has crashed in rural Vienna under unknown circumstances. They also tell Local 6 fatalities are reported, although the amount of damage is unknown. 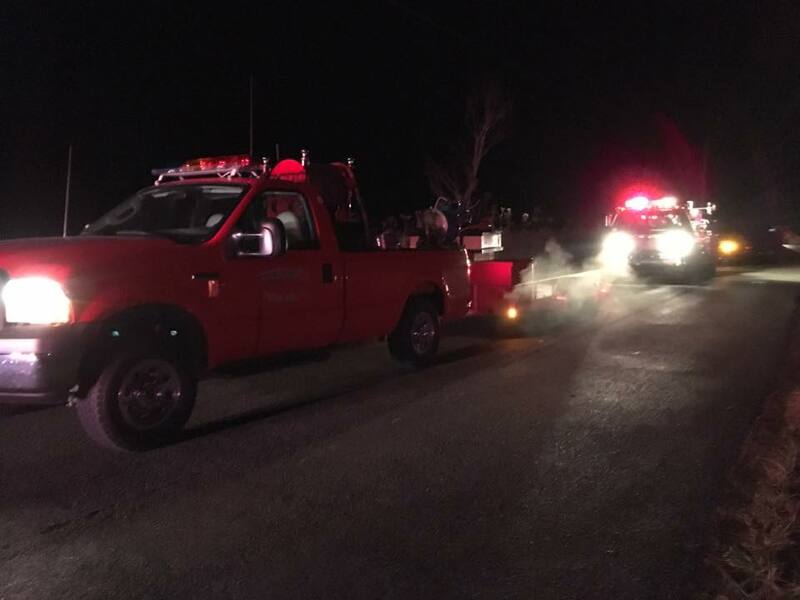 The Johnson County Sheriff's Department also confirmed to Local 6 that a private aircraft had crashed earlier in the evening, and they were dealing with a fire on scene in a field in the 900 block of E. Crossroad Rd. The FAA and NTSB are en route to the scene. Emergency workers responded Saturday night to a reported plane crash with three deaths near Vienna in Johnson County, south of Carbondale, according to published reports. The Johnson County Sheriff’s Office did confirm there was an incident along Crossroads Road, but there was no danger to the public. It could not release any additional information. Television station KFVS, based in Cape Girardeau, Missouri, reported a Piper PA-28 aircraft has crashed under unknown circumstances near Vienna. KFVS reported that the extent of the damage is unknown, but authorities have confirmed there are fatalities. A cell phone was found in the wreckage it is being sent to the National Transportation Safety Board Recorder Laboratory to see if it contains data in reference to the flight. The National Transportation Safety Board traveled to the scene of this accident.